North Rustico is a town located in the northern part of Queens County, Prince Edward Island, Canada. It became an incorporated municipality in 1954. North Rustico became a town on November 16, 2013. The St. Peters Harbour Light is a lighthouse on St. Peter's Bay, Prince Edward Island, Canada. The station was established in 1865 and the lighthouse itself was built in 1881. It has been inactive since spring 2008. Mount Mogan is a mountain located in Deqing County, Zhejiang Province, China, 60 kilometers from the provincial capital Hangzhou and 200 km from Shanghai. It is part of the Moganshan National Park and at its base is the small town of Moganshan. 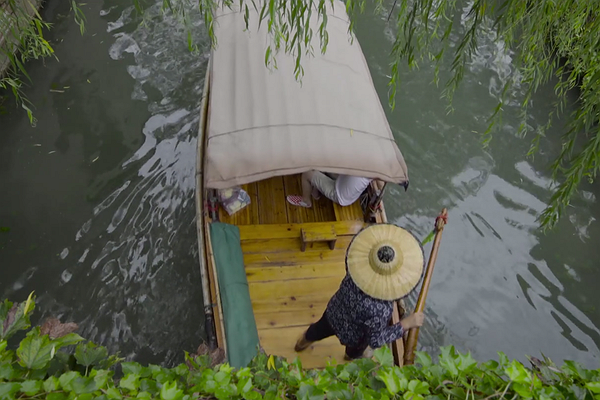 The Huangpu, formerly romanized as Whangpoo, is a 113 kilometres-long river flowing through Shanghai that was first excavated and created by Lord Chunshen, one of the Four Lords of the Warring States during the Warring States Period. Capturing the landscapes of two vastly different destinations, “Here and Away” asks the age-old question: city or countryside? Filmmaker Andrew McCormack has lived in both urban and rural environments, and has taken it upon himself to visually represent the eternal dilemma. To create the foil between the two, he juxtaposes Prince Edward Island, Canada, and Shanghai, China. An old man in Canada explains why he never left the island, and a young woman in China explains the allure of the city’s vibrant life. The subjects may not understand each other, but that doesn’t matter — we gaze into their different worlds and see the beauty in both. Did you know Shanghai sits on the water? Don't forget to check out the Shanghai Bay by adding it to your profile.